Millions drive Going-to-the-Sun Road every year. This stunning feat of engineering winds its way from the lush forests of the west side of Glacier National Park to Logan Pass on the Continental Divide with sections literally hewn from the cliffs. From there, it works its way down to the plains of the east side. Along the way are forests, waterfalls, stunning vistas, and alpine meadows. 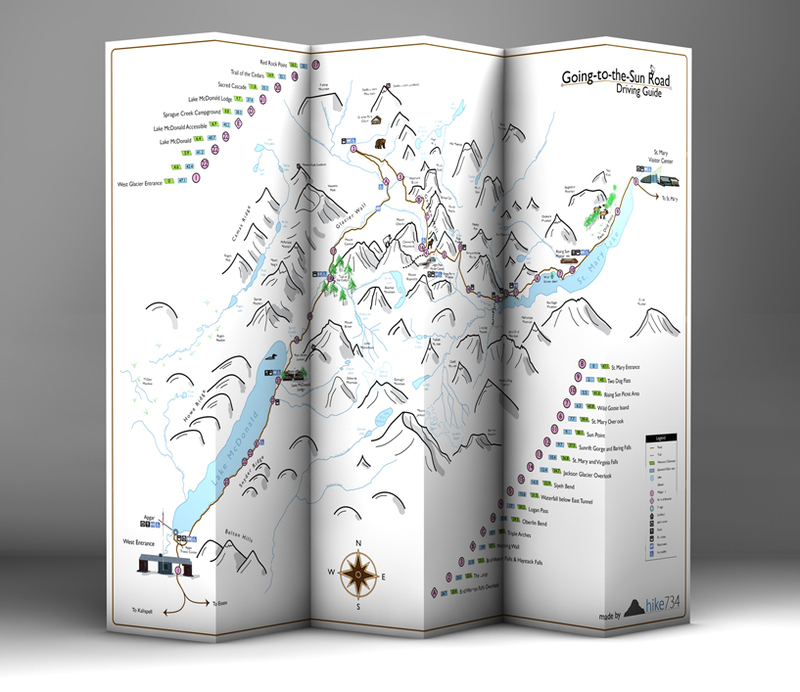 Taking along this map is like bringing along a tour guide. You’ll know where to stop for the best photos and what you’re looking at. Many visitors spend too much time along the way up so they end up not finding a parking spot at Logan Pass. This map gives you mile markers of the places to stop but also, more importantly, the order. This allows you to find the right spots to park, the right light for photos, and an immersive trip that will stay with you forever as you drive into Glacier’s iconic high country. I can’t tell you how many times I’ve consulted this map – not just while I’m in the Park, but many times when I’m at home and identifying locations in photographs I have taken. 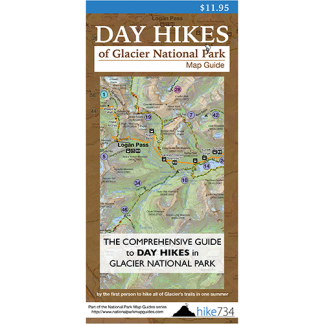 It’s sturdy, easy on the eyes, and a valuable tool for any visitor to Glacier National Park. Bought each vehicle one for our group. 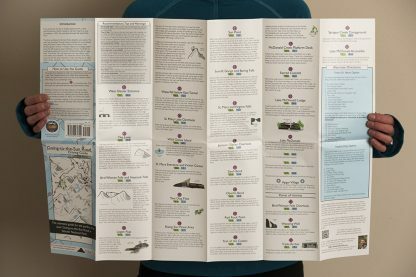 Easy to read and a great help for beating the crowds. Durable to last for years of enjoyment. Plan on using it again in Aug. Your 5 star button here is not working, but I do rate your guide 5 stars. Concise and informative. Jake has managed to highlight the best Glacer has to offer. A must have. 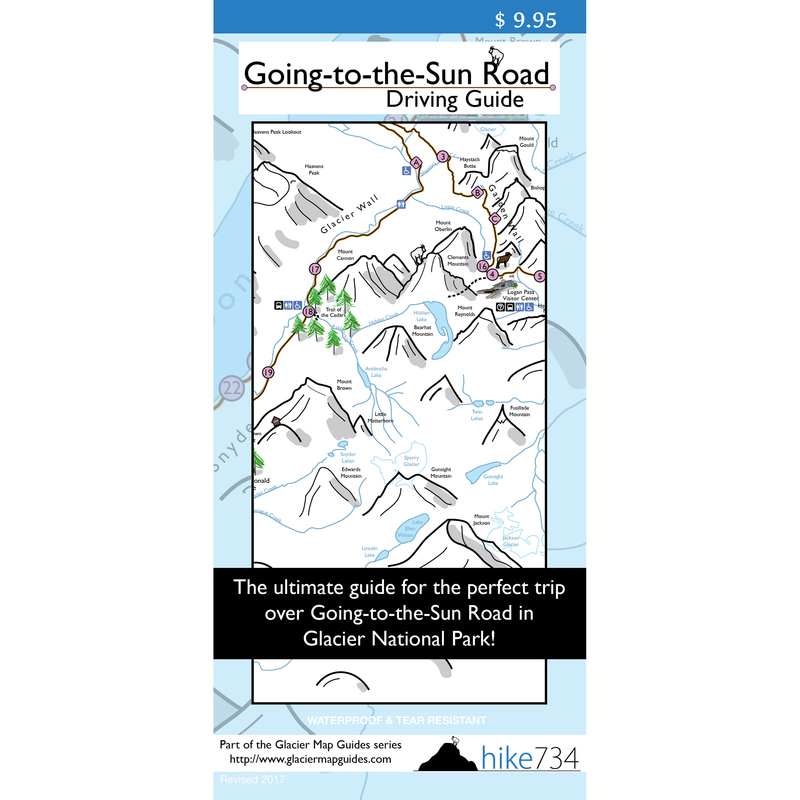 This map should be in everyone’s possession if they are planning a scenic driving tour of Glacier Park’s fabulous Going to the Sun Road. It is absolutely the best and most useful map ever made for the GTTSR. 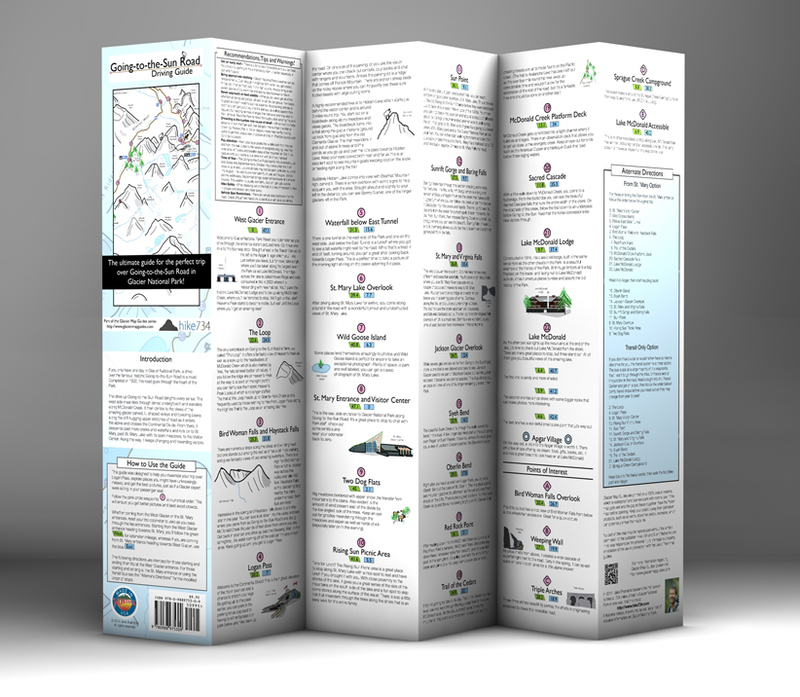 The descriptions of all stops and trails along Going to the Sun Road are concise and accurate. They are also waterproof and tearproof. 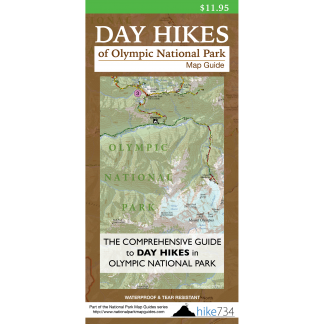 I LOVE this map and all the information Jake imparts on his blog and in his fabulous ad-free trail videos. Your best guide to Going to the Sun Road! Easily followed no matter which direction you are heading. This made my day on the Road so much richer and more enjoyable! 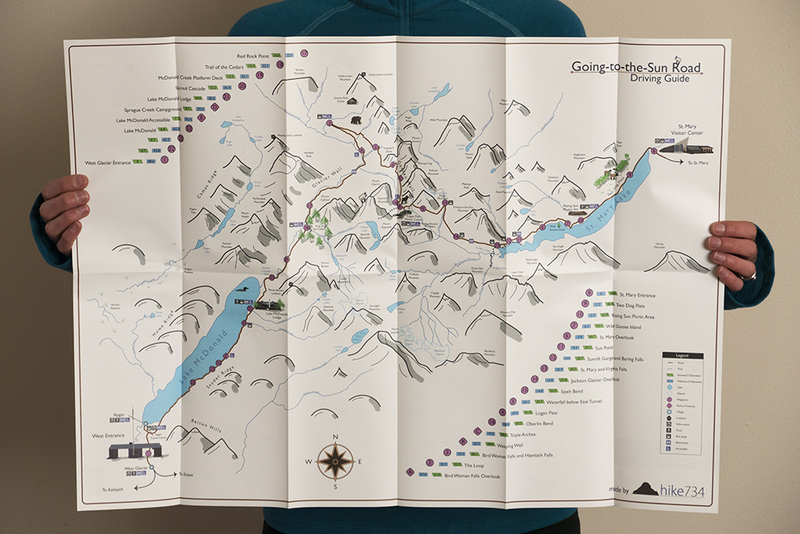 Thanks, Jake, for making my first days in Glacier (August 2015) so much better through your maps. I hope to return soon! 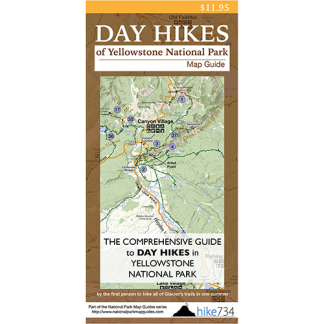 We used this map last summer and it was super helpful! Our adult children thought they would use their electronic devices and when they found out they had no service, they were all asking for the map! We have since loaned it to friends going to Glacier and told them it was invaluable! 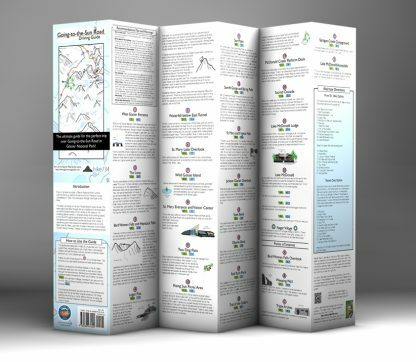 We will definitely purchase Jake’s maps when we take a trip to another national park. I wanted to try to like this map. But it doesn’t make a bit of sense to me. There are “Waypoints” and “Points of Interest” but it is hard to tell what the difference between them is except that “waypoints” are circles and are numeric while “Points of Interest” are diamonds noted by alpha characters But that is minor. The directions state, “Follow the pink circle waypoints in numeric order.” These are all over the place and in no order whatever. We wasted an entire day trying to figure out these directions which simply made no sense at all. I am still trying to figure out how to make sense of this map and the markings. This product, in my opinion is very poorly laid out with graphic elements that are distracting as well as these more glaring errors. There are many free resources available for the asking. Don’t waste your money on this!! The points of interest are just to notify you of what you’re looking at as you drive by them such as the Weeping Wall. The reason that the waypoints are all over the place is that the order of reaching each point matters for photos and to get parking spots at popular stops such as the Loop and Logan Pass. Just start at an entrance and head to the points of interest in the order of the numbers. I’d love to have you drop me a line via my contact form so I can make it less confusing. Thank you for trying it out. Hopefully we can make it work for you.